Oh Yes! 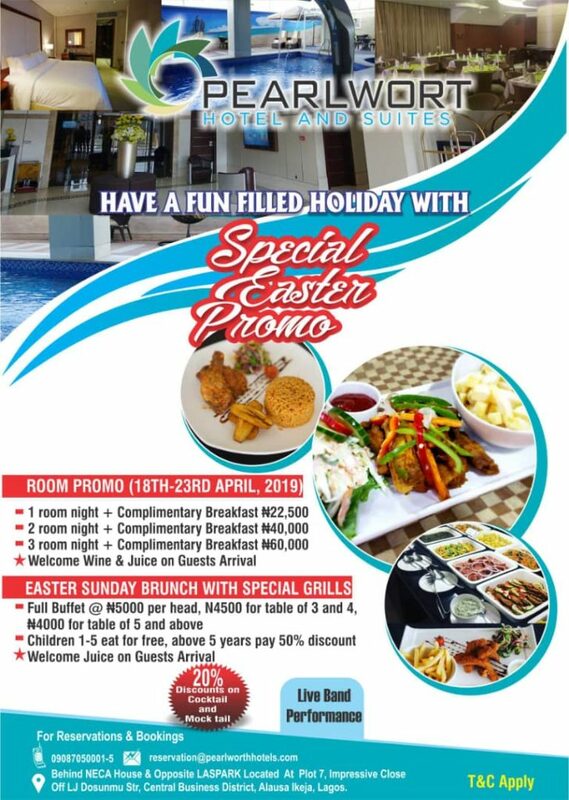 It's Independence Season and Pearlwort is 2 years...Enjoy our Amazing Independence PROMO rate of just 4000 Naira on our Special Anniversary Sunday Brunch with further discount of 10% from table 5 and above...Get away with our AWOOF Room rates PROMO from 27th September - 4th October, 2018 from as low as 25000 Naira for 2 on all our STANDARD ROOMS and lots more. Don't miss out!